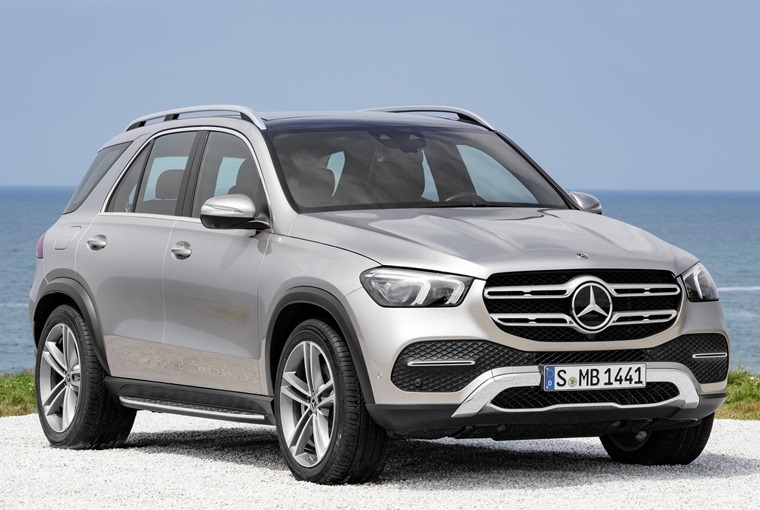 Prices for the 2019 Mercedes-Benz GLE have been revealed following its debut at the Paris Motor Show, with the 300d 4MATIC costing from £55,685. On sale now, the 300d replaces the 250d and features a 2.0-litre four-cylinder diesel producing 242bhp. This gives the SUV a top speed of 140mph and a 0-62mph time of 7.2 secs. The GLE 450 4MATIC uses a 362bhp in-line six-cylinder unit bolstered by 48-volt technology to improve performance and lower emissions. Mercedes claims this unit is capable of up to 34mpg, with CO2 emissions as low as 190g/km. Externally, the GLE retains the powerful presence of the model with its large grille and sharp LED lights. The back end gets a subtle update, too, with a blacked-out D-pillar. 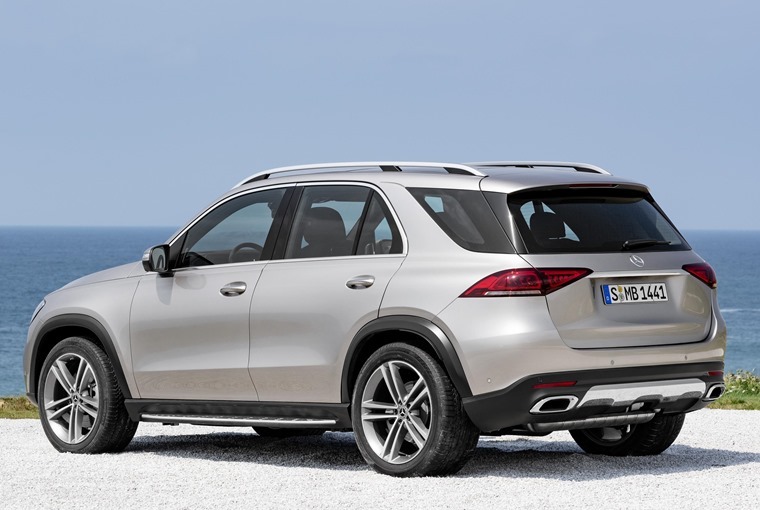 “The GLE exhibits iconic Mercedes-Benz design while remaining true to its character as an off-roader,” says Gorden Wagener, chief design officer at Daimler AG. It has also grown slightly, with the wheelbase stretched by 80mm and headroom boosted by 33mm. The 825-litre boot grows to a mammoth 2,055 litres with the seats down making the GLE one of the biggest cars in its class. 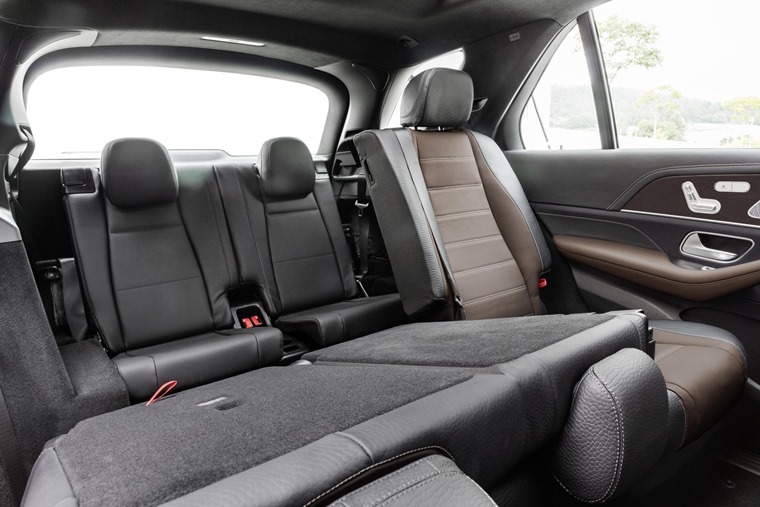 In addition, a third row of seats will be available in the GLE for the first time. In the driver’s seat there’s the same dual-screen infotainment system found in the new A-Class, with two 12.3in screens sitting above four air vents. The new GLE will come with a whole host of safety kit and driver assistance systems, including Active Distance Assist DISTRONIC, which detects and responds to tailbacks and can alert the car to potential hazards. Active Stop-and-Go Assist can also control the car in traffic by recognising lane markings as well as the traffic ahead while traffic sign recognition ensures the car automatically adjusts its speed. 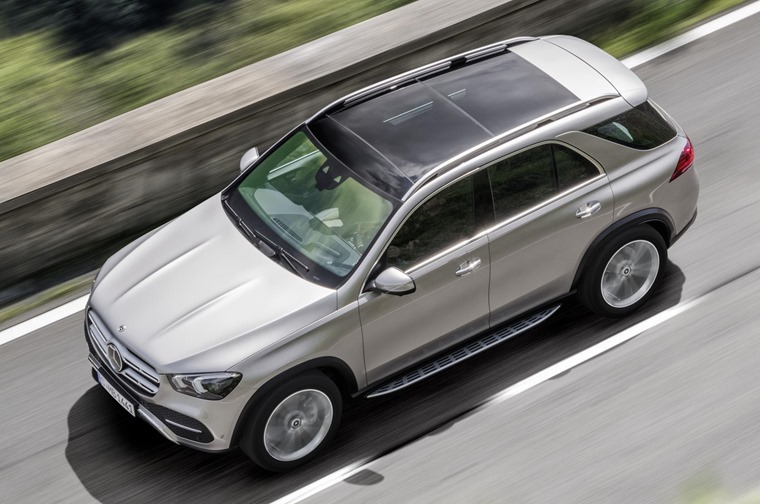 One of the most important new innovations in the new GLE is the E-Active Body Control suspension. This is the only system in the market where the spring and damping forces can be individually controlled at each wheel meaning it not only counteracts body roll, but also pitching and squat leading to a more comfortable and better drive. The first cars are set to arrive in the UK in spring, while the performance GLE 63 and GLE Coupe versions will be revealed later in 2019.